I’m so excited to finally share with you all what I’ve been working on! 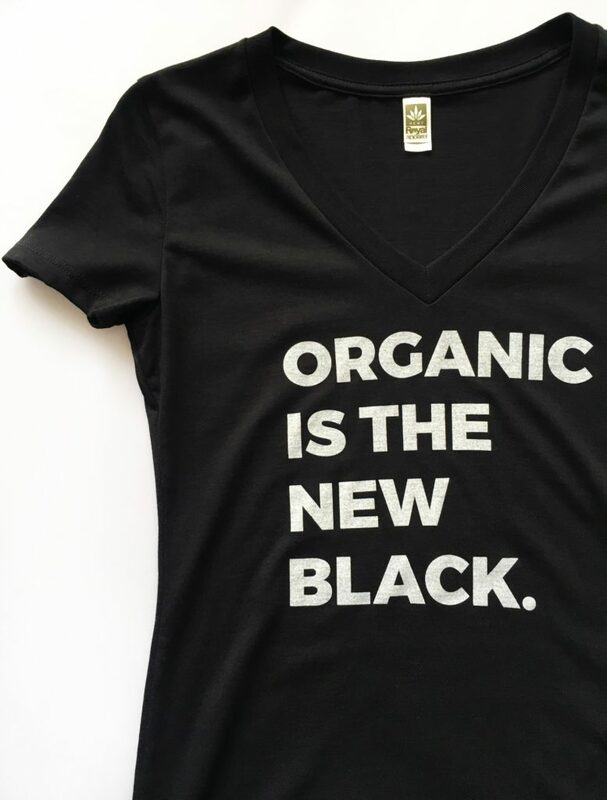 You can now buy a limited edition “Organic Is The New Black” v-neck shirt directly from my site. 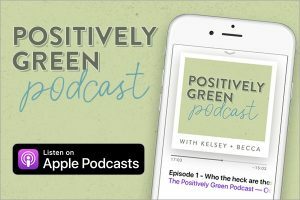 I have been thinking about ways to get the word out about the organic movement. And once I started learning more about sustainable fashion it all just seemed to fit. 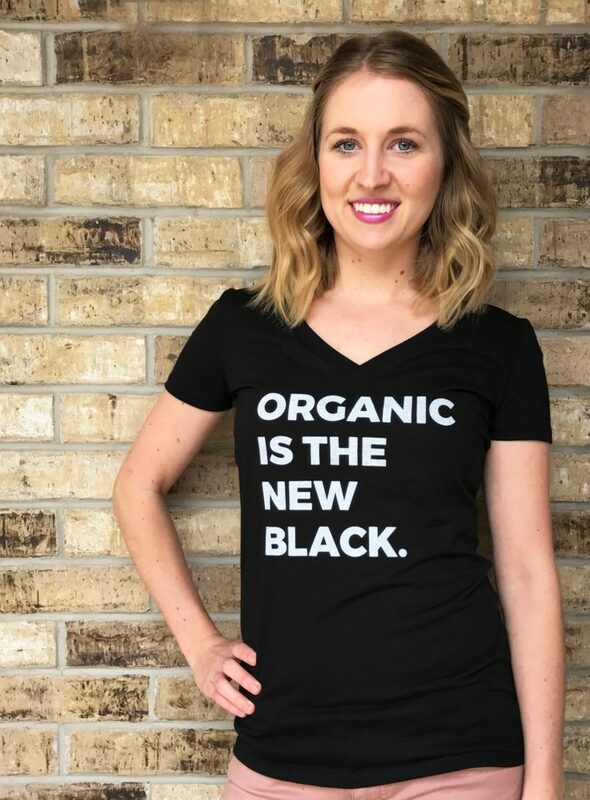 These shirts are made with 60% hemp and 40% organic cotton which means there are absolutely no pesticides, insecticides, or fertilizers on your shirt! Made in the USA by Royal Apparel. 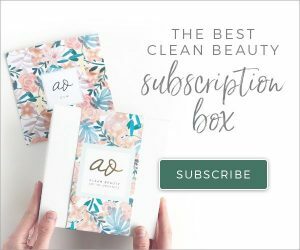 Read more about their eco-friendly and sustainable practices such as water recycling and low-impact dyes. And get this! 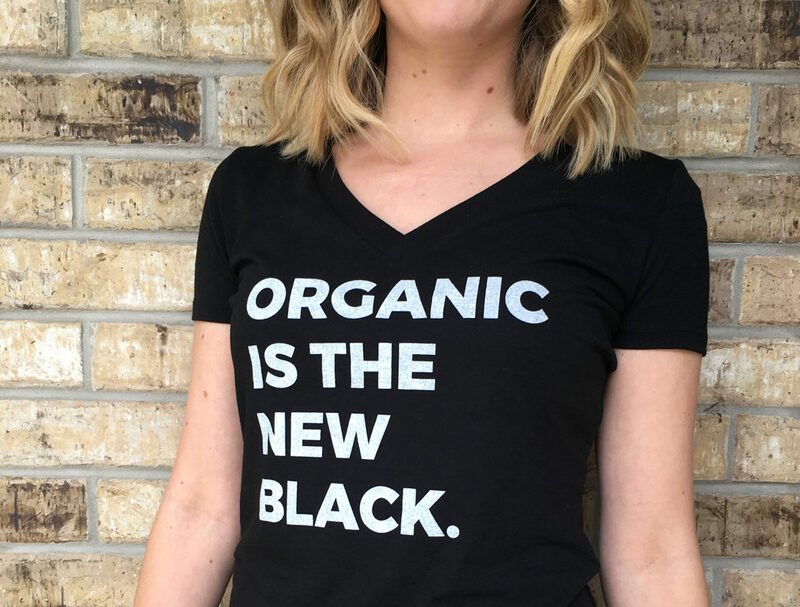 For every shirt purchased, $1 will be donated to the Organic Farming Research Foundation and the Campaign for Safe Cosmetics. By buying a shirt, you’ll help improve organic farming practices and help make personal care products safer! And you’ll look awesome. Each shirt is $26 and comes in sizes XS, S, M, and LG.